From Game, with free delivery. If it sells out, the Base game is at the same price. Is this just the base game? Is this pre owned? If so, surely the crowns are already spent? Shows as £199.99 for me! Is this a mistake? Can you play this single player ? Free delivery, so no need to check stock in store. The standard edition is also at £4.99, if this sells out. No, it's the Crown Edition. No it's not.It's the Crown Edition.Free delivery, so no need to check …No it's not.It's the Crown Edition.Free delivery, so no need to check stock in store.The standard edition is also at £4.99, if this sells out. It' still just the base game.. no expansion DLC. Only thing extra in this is 750 crowns to spend in the store. It' still just the base game.. no expansion DLC. Only thing extra in this …It' still just the base game.. no expansion DLC. Only thing extra in this is 750 crowns to spend in the store. "Only thing extra is the 750 crowns to spend in the store." You kind of contradicted your own comment. "Only thing extra is the 750 crowns to spend in the store. "You kind of …"Only thing extra is the 750 crowns to spend in the store. "You kind of contradicted your own comment. Not to be that guy, but to be that guy it's "you're*"
Edit: Unless you were going for "your be" or something like that. Thanks, looks like there is one in stock near me. I have bought the VR version for my wife who loves this game. I know this isn’t VR compatible but does it include content not on that version? Thanks for any info. And you sound like an absolute C**T, to me. Thanks, looks like there is one in stock near me. I have bought the VR …Thanks, looks like there is one in stock near me. I have bought the VR version for my wife who loves this game. I know this isn’t VR compatible but does it include content not on that version? Thanks for any info. can someone explain in laymans terms just what 'games' or DLC there are and in what order.. im hoping to get into ESO and im finding it a bit hard to figure out what is what and what is included. i gather morroworld is the latest DLC. but for example with Destiny, if you got the Taken king, you got the base game and then the 2 DLC's. does the gold edition contain all the base game and DLC up to morroworld? do you still have to pay per month to play the game?! sorry, total newb to the game. 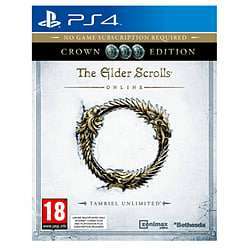 can someone explain in laymans terms just what 'games' or DLC there are …can someone explain in laymans terms just what 'games' or DLC there are and in what order.. im hoping to get into ESO and im finding it a bit hard to figure out what is what and what is included. i gather morroworld is the latest DLC. but for example with Destiny, if you got the Taken king, you got the base game and then the 2 DLC's. 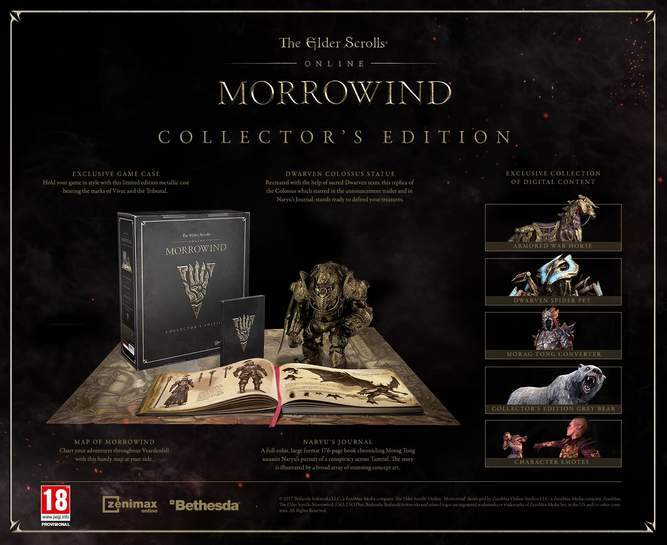 does the gold edition contain all the base game and DLC up to morroworld? do you still have to pay per month to play the game? !sorry, total newb to the game. Gold gives you all up to Morrowind (including base game). You can play without it but it is essentially like playing wow without the latest expansion. You are not forced to subscribe for the 10 pound a month but it gives you perks. In addition, if you only have the base game it lets you play all the expansions apart from Morrowind as long as you are subscribed. thank you so much for the time you took to write that. Much appreciated.